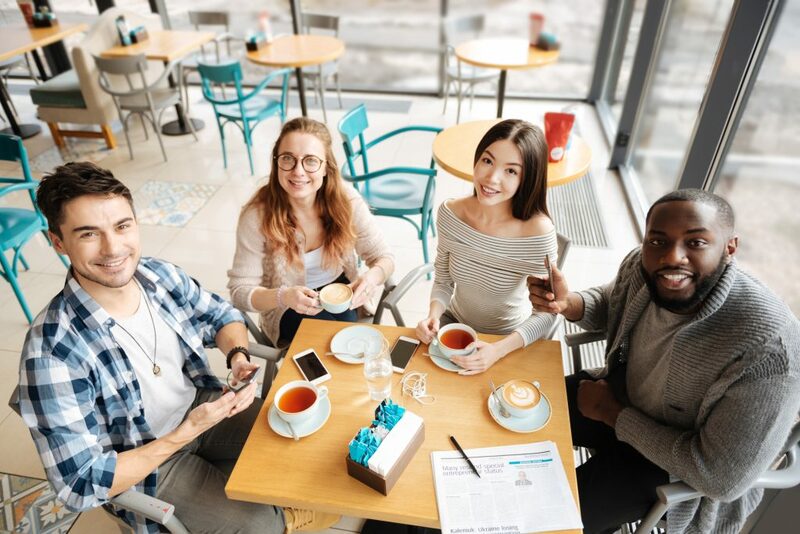 Millennials, born between 1980 and 2000 according to the Pew Foundation, draw a lot of attention with their social media use and how they spend their disposable income, and now they are taking the franchise industry by storm. More and more millennials are getting into the fast casual franchise business and the reasons may surprise you. Millennials tend to know what they want and that is a better quality of life. They are not afraid to work hard, but they prefer to work smarter so they can be successful while not sacrificing what is important to them to do so. It takes a lot of work to make a restaurant successful, but at least with a franchise there is built in support and a streamline system proven to work. This opportunity to be your own boss, but still have good work-life balance is what attracts millennials to fast casual franchise investments. Many millennials were growing up during the recession which taught them that nothing in life is guaranteed and the more control you have over your own destiny the better. During the recession, when the real estate markets became difficult to navigate it was almost impossible for young entrepreneurs to open up a restaurant on their own. This is when fast casual restaurants really became a popular alternative so many millennials associate fast casual franchises with better stability. Another thing that attracts millennials to fast casual franchises is their love of food. This generation eats out more than any other previous generation which has turned them into foodies. They get very excited by what is on their plate and pay a lot of attention to the quality of their meals. Often times, millennials will want to join the franchise program of their favorite fast casual restaurant because they believe in the brand. Millennials are certainly the social media generation. They love to share every part of their lives online. From taking pictures of their favorite dishes on Instagram to sharing their opinions on Twitter, they are not afraid to document everything. Their social media savviness also draws them to fast casual franchise investment. They feel confident they can attract a lot customers and build up the brand through social media. They also use social media to research potential franchisors to join. They know how to cull all the right information to make a wise investment. Millennials know what they are good at and what they are not so they are looking for investments where they can concentrate on what they do well and have team members handle the rest. That is what is so attractive about fast casual franchises. They don’t have to do it all by themselves. Millennials also want to believe in what they are selling. It is more than just a paycheck for them. That is why they are most attracted to brands that stand for something powerful and for franchises that give back and are active in their local communities. For some people it is too much of a daunting experience to raise the money needed to start and run a successful fast casual franchise, but that is not the case for millennials. Because they live on the internet, they know how to tap into money available through online lenders that are dedicated to the franchise industry. And there is lots of money available. Fast casual franchisors also benefit from signing millennials onto their team. They have a lot of energy and a very strong work ethic and they are open to listening to mentors and business people who offer to guide them. They know the importance of a strong team. Millennials also are great at creating a buzz without having to spend lots of money on advertising. They can help get a brand a lot of noise without a lot of corporate investment. Franchisors also don’t have to spend as much of their resources recruiting millennial franchisees because they will more likely come directly to them. They think nothing directly contacting brands that they believe in. Startup costs for a franchise can run the gamut from only a couple of thousand dollars to millions of dollars so you need to look realistically at what your budget should be for any franchise investments. Experts suggest that you factor in what your income is from other sources, what you expect your return to be from the franchise and your general lifestyle habits. If you tend to have expensive tastes, then you will probably not want to enter into a venture into a business dealing where most of your money is put on the line. Being brutally honest with yourself is paramount if you want to succeed in the franchise restaurant business. When you choose to buy a franchise instead of opening up your own original restaurant, you are signing up for that brand so it is crucial that it is one that you believe in strongly. Top qualities you should be looking for include an established support structure that can help you develop your franchise, a group of knowledgeable and skilled experts who are available to advise you every step of the way and continual training opportunities to give you the best opportunity to succeed. Other things to consider also are what type of food you want to sell at your fast casual restaurant. If your goal is to focus on healthy-living or offering only organic products, then you will want to choose a parent company that also shares those values. Zac’s Burgers is looking for new franchisees. Give them a call today. Visit one of our five locations - See Locations. Copyright 2019 Zac's. All rights reserved. Powered by Appetizing Sites. Make more money and be your own boss! Now accepting a limited number of partners.